People often think of affluence, luxury, and the grand apartments and mansions lining the streets when they think of the Upper East Side. In many ways, this reputation has contributed to the Upper East Side’s slower pace of living compared to Midtown and Lower Manhattan. Many historically significant families had homes in the Upper East Side, including the Kennedys, Roosevelts, Rockefellers, and Carnegies. The boundaries of the neighborhood are defined by 59th Street, Central Park, 96th Street, and the East River. The Upper East Side is composed of three smaller neighborhoods: Lenox Hill covering the area between 59th Street and 77th Street, Carnegie Hill tucked between upper Third Avenue and Central Park, and Yorkville occupying the northeast corner. Commercial real estate rents in the Upper East Side fall right at the New York City average of $72 per square foot. Newer office spaces tend to be located on the east side of Third Avenue, while historic Class A and Class B buildings constructed in the 1920s are more common along Park Avenue and Fifth and Madison Avenues. Office suites and entire floors compose a significant portion of the available office space in the Upper East Side. With the United Nations less than a 30-minute commute away from a majority of the Upper East Side, diplomatic missions and consulates often occupy the former mansions of the neighborhood, including those of Austria, France, Greece, Italy, India, and Pakistan. Companies with global and international connections might find that office space in the Upper East Side fits their needs. Businesses in the medical sector will also be in good company in the Upper East Side. The Memorial Sloan Kettering Cancer Center, Weill Cornell Hospital, and Gracie Square Hospital are just a few of the medical institutions in the area. 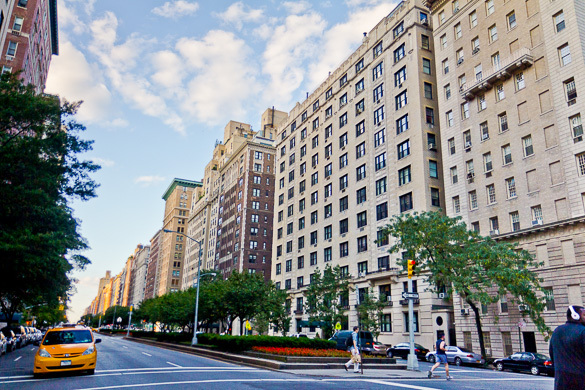 The campuses of a variety of medical schools as well as Hunter College, Rockefeller University, and Fordham University are also located in the Upper East Side, attracting students and recent graduates to the area who form a skilled talent pool. The sophistication and elegance of the Upper East Side draw many construction companies, architects, and interior designers who find inspiration in the abundance of art, nature, and classic NYC vibes of the neighborhood. Companies with office space in the Upper East Side include Annie and Company Needlepoint, California Closets, French Bull, dineen architecture + design, as well as the New York offices of National Geographic. Commuting to and from the Upper East Side has become much more convenient following the completion of the Second Avenue Subway. The Q train now runs from 72nd Street up to 96th Street and diverts congestion from the notoriously dysfunctional 4, 5, and 6 lines. Suburban commuters can connect to the Lexington Avenue line at Grand Central Station. Nearly a dozen bus routes running uptown and downtown serve the area, as well as five crosstown buses. WalkScore rates the Upper East Side with walking and transit scores of 99. Central Park and the East River Esplanade provide pedestrians and bikers with scenic trails to take to work or unwind from the day. CitiBike continues to expand its Upper East Side stations, and bike lanes are located on First Avenue and Second Avenue. 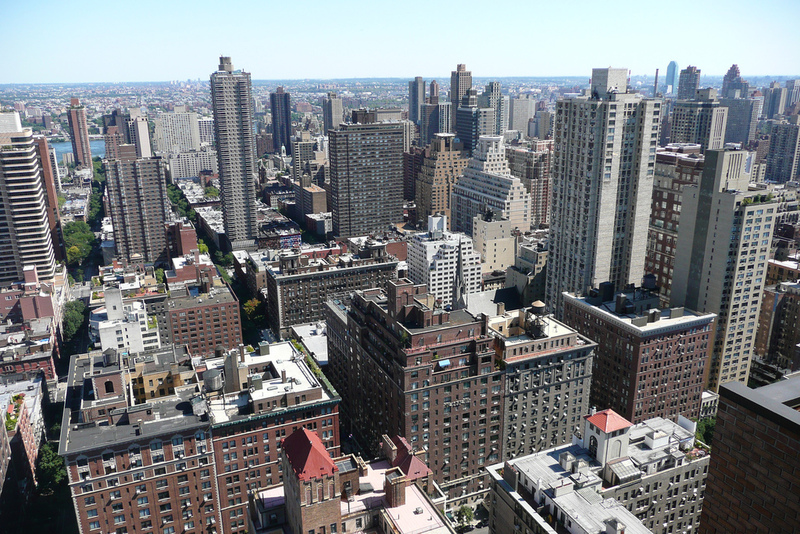 Nearby neighborhoods include: Midtown, Midtown East, Plaza District, Park Avenue, the Upper West Side, and Harlem. Affluence has been a defining trait of the Upper East Side for so long that the neighborhood was once known as the Silk Stocking District. Wealthy families enjoyed a luxurious lifestyle with immediate access to both Central Park and the retail shops along Fifth Avenue. While pockets of affordable housing can be found closer to the East River, the Upper East Side has some of the most expensive housing in Manhattan and the rest of the United States. 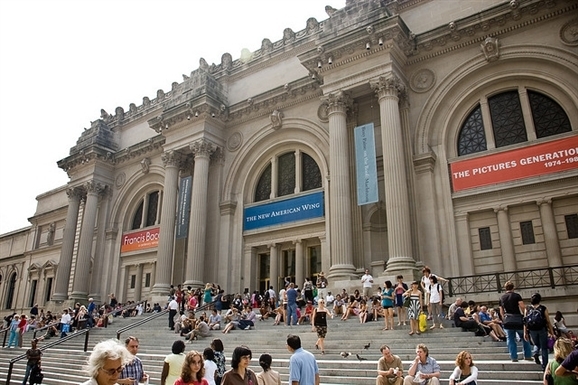 One of the Upper East Side’s defining features is the section of Fifth Avenue between 82nd Street and 105th street known as “Museum Mile.” A favorite family and tourist destination, nine museums are located on this stretch of Fifth Avenue including the Guggenheim Museum, the Frick Collection, the Metropolitan Museum of Art, and The Jewish Museum. The museums also offer excellent restaurants that are ideal for business lunches, such as Russ & Daughters at The Jewish Musem and Flora Bar at the Met. Our team also enjoys eating out at Blake Lane, Petaluma, Café Beach, Pastrami Queen, and Via Quadronno.